The PMTT – Chaos Tackle’s Spring Shootout on Cave Run Lake was awesome! 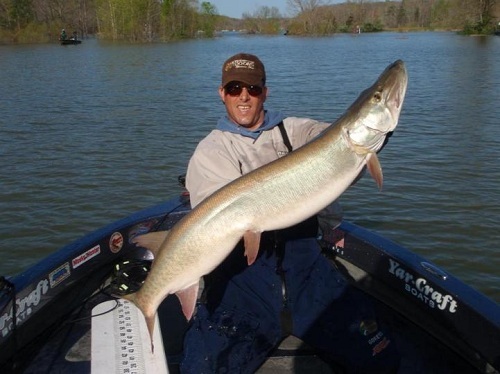 Despite the extreme flooding with 20′ high water over normal pool, the PMTT musky fishermen registered 21 muskies with the largest being the longest & heaviest fish ever registered in the 13 years history of the PMTT coming to Cave Run Lake. Steve Genson from Wisconsin was fishing alone, and despite the absence of his partner Mike Keyes boated three muskies of 30″, 31″ and an extremely heavy 49″ beast of a fish to take home the 1st Place hardware and over $13,000 in cash.